I will keep this post simple, just like the recipe. I started in the kitchen with the intention of making a loaf of banana bread for my Nephew. As I was preparing the batter, I changed my mind. Instead I decided to make small individual servings, this way he wouldn’t leave half of it untouched. Simple – and that’s how the bread+cookie was created! As I already mentioned, they are quite easy to make, and done in one bowl! If you are a mom or dad who wants to provide your children with healthy, yummy and nutritious snacks, these are a must try! 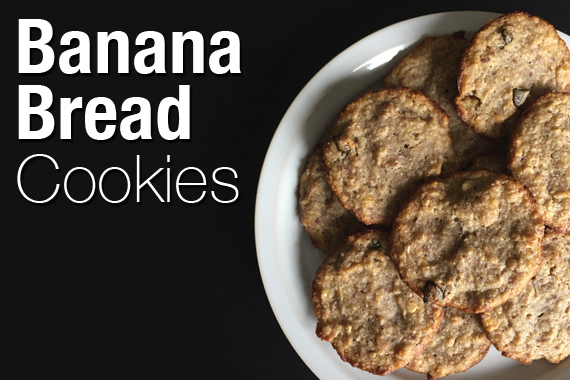 They look like a cookie yet taste and feel like banana bread. Yum! Start by combining the flax egg, and set aside. Next, in a large bowl mash the over ripe bananas and continue to add the remaining ingredients. 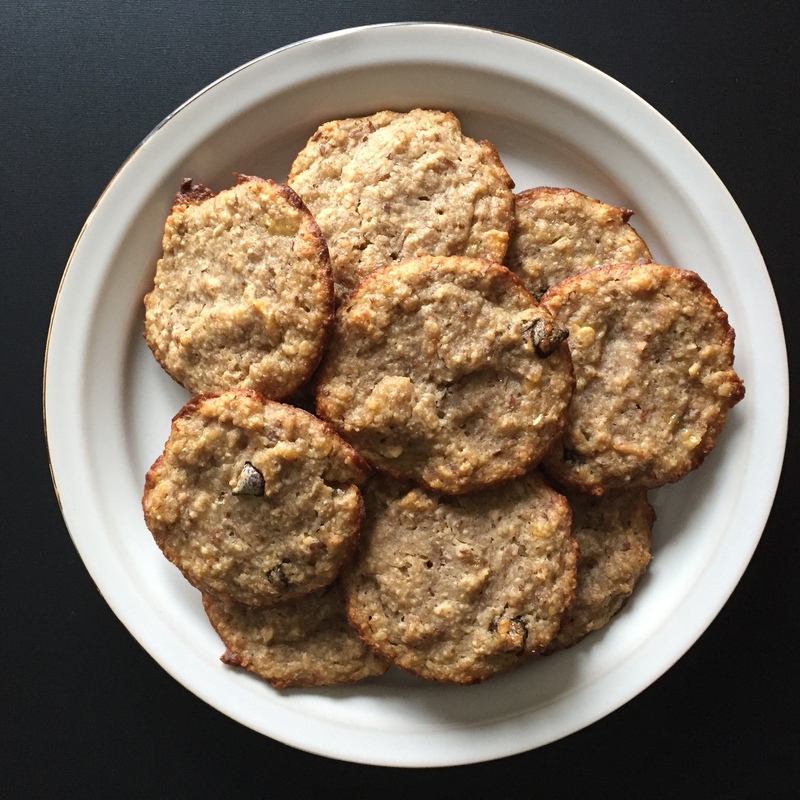 Be sure to measure 1 1/4 cup oats and then blend to create a flour. Mix well, so there are no clumps of oil or banana. If the batter seems runny add extra whole oats (it should be like a cake batter texture). Using coconut oil, lightly cover a baking sheet - using 1 tbsp start putting the batter onto the cookie sheet. Hope you and your children enjoy them!